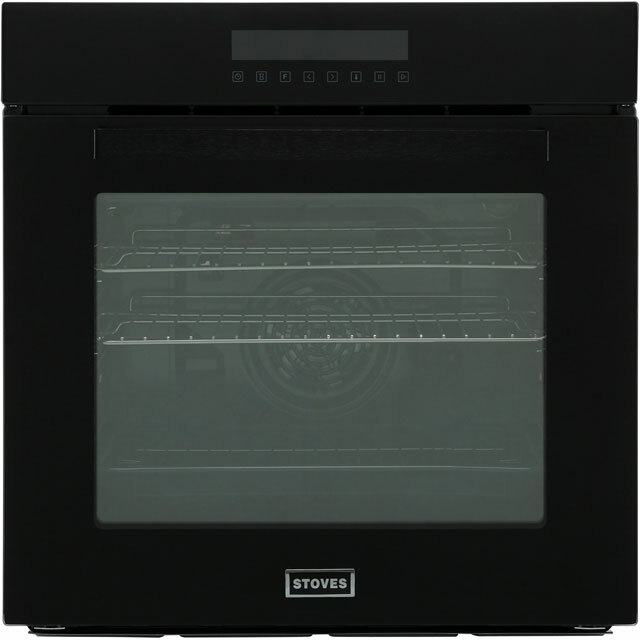 Leave your dinner guests wanting more with this electric single oven from Stoves. As it’s multifunctional, you’re given a range of cooking options to choose from to help you perfect every recipe. 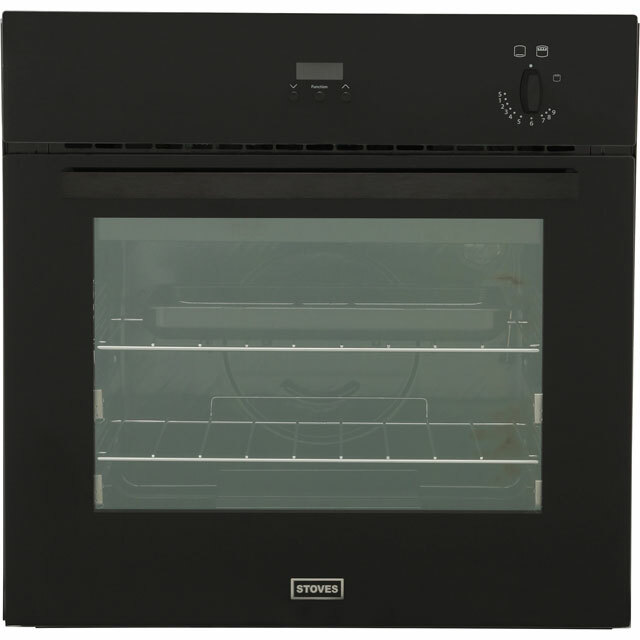 The Intensive Bake function evenly circulates hot air inside and heats from the bottom, so your savoury lasagnes and sweet sponge cakes will always be evenly cooked. It has a fan grilling function as well, which keeps joints of meat succulent inside with a crispy skin on the outside – perfect for your Sunday roasts. Cleaning up is made simple too, as the catalytic liners absorb greasy splatters which are oxidised as you cook. This model is designed to fit at eye level or under a worktop. 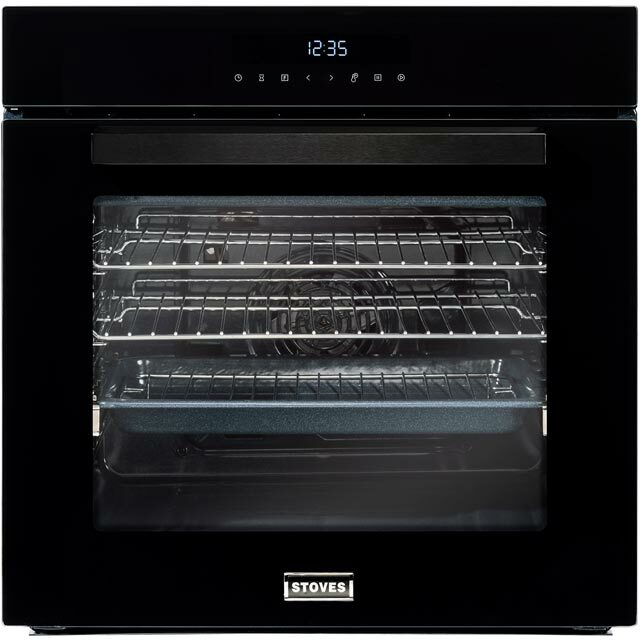 My new Stoves oven arrived on time, as promised by a.o.com, whose customer service is the best that I have received. The oven has a digital control panel, so no knobs to get greasy! It is very simple to use & heats up quicker than my previous built-in oven. It is easy to adjust the temperature whilst you are cooking, & the bright internal light lets you see everything clearly. I am really pleased with my purchase! Oven works as expected. A Little fiddly with the settings but should be fine once used to it. Well sealed oven so limited cooking smells. 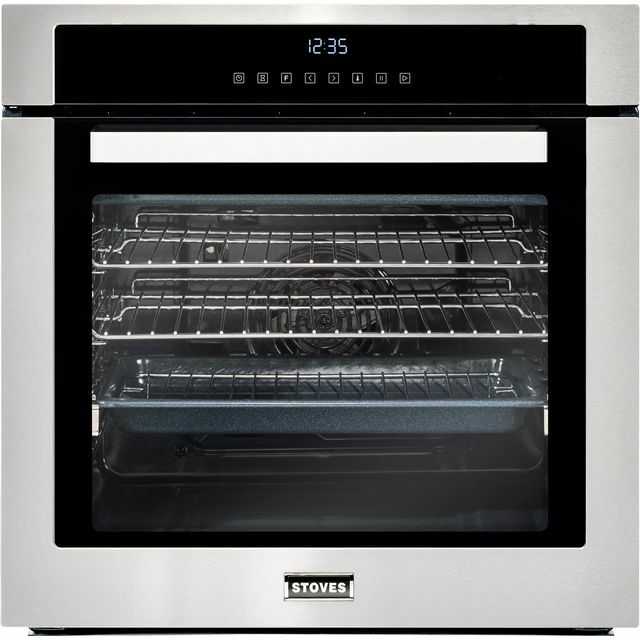 Really like this Stoves oven, clean looks and works excellent. Being older a few less function choices would be better but that is the problem with being older ???? This looks fantastic in my new kitchen with so many different functions including dough rising. It has a much larger interior than my old oven which is great. I am very pleased with this. 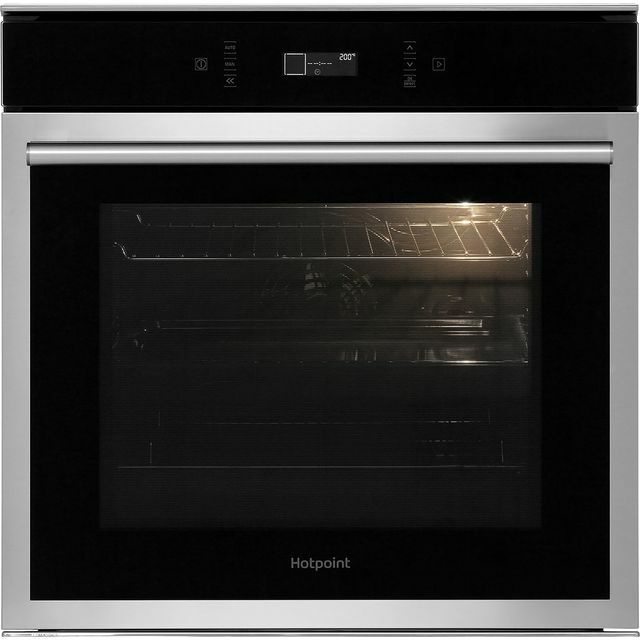 Oven performance is as specified, but the features are excellent and all performed without a hitch...the catalytic cleaning plates are already doing a good job, so all in all very impressed! It gleams because its mostly black and smooth and it looks the part, then put the light on and it comes to life and makes everything put in it looking good when it comes out , switch it off and it is gleaming until needed again , what’s not to like.